« Debbie Wasserman Schultz Lying About Alleged ‘Dangerous for Israel’ Comment? 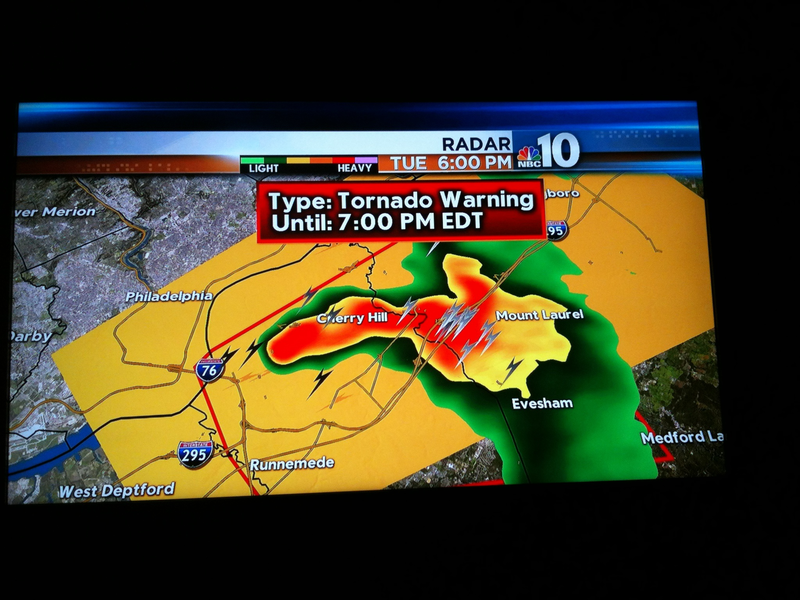 National Weather Service confirms a funnel cloud or tornado hit Camden County, New Jersey, September 4, 2012. A possible tornado near Voorhees in Camden County, N.J. I saw on my TV screen, a tornado warning and I have never seen one before in South Jersey. Hide where? A tornado doesn’t give enough warning. Give me a hurricane! I can do a hurricane, but this Tornado scared me, then pictures surfaced today. Whoa…..